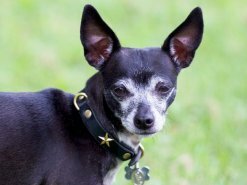 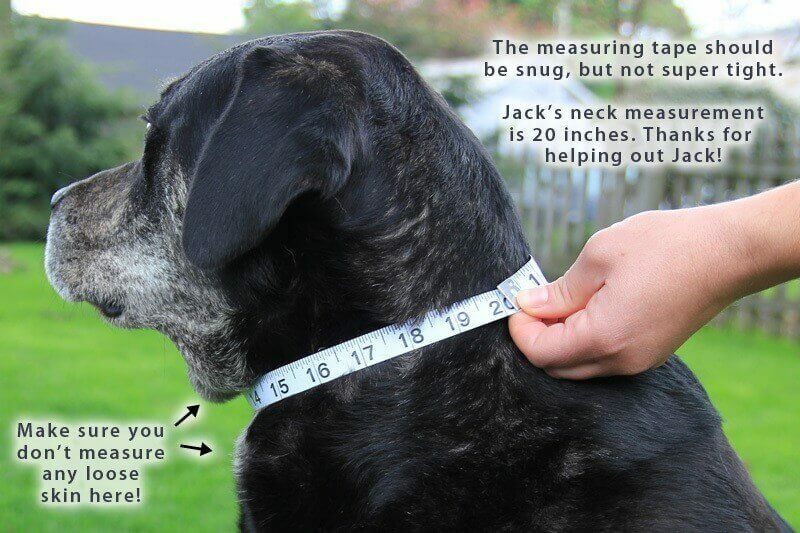 Wag more, bark less! 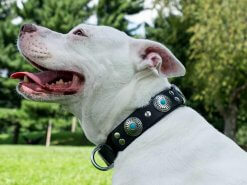 Sometimes it takes a diplomat to take the peaceful path. 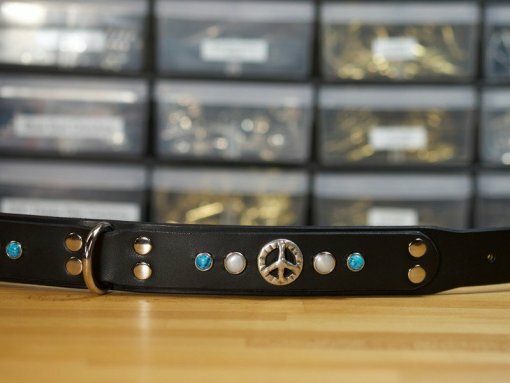 Make a statement of support for peace wherever you go with this collar. 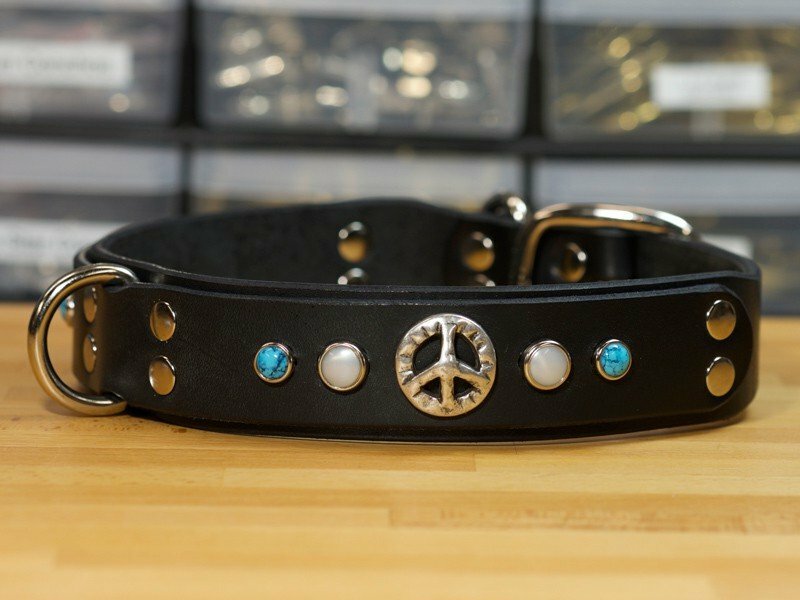 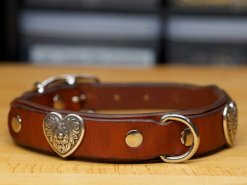 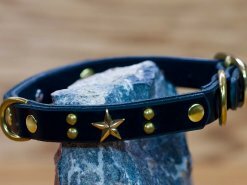 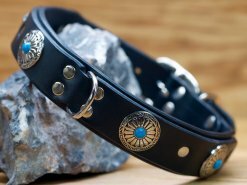 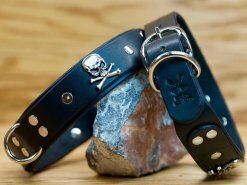 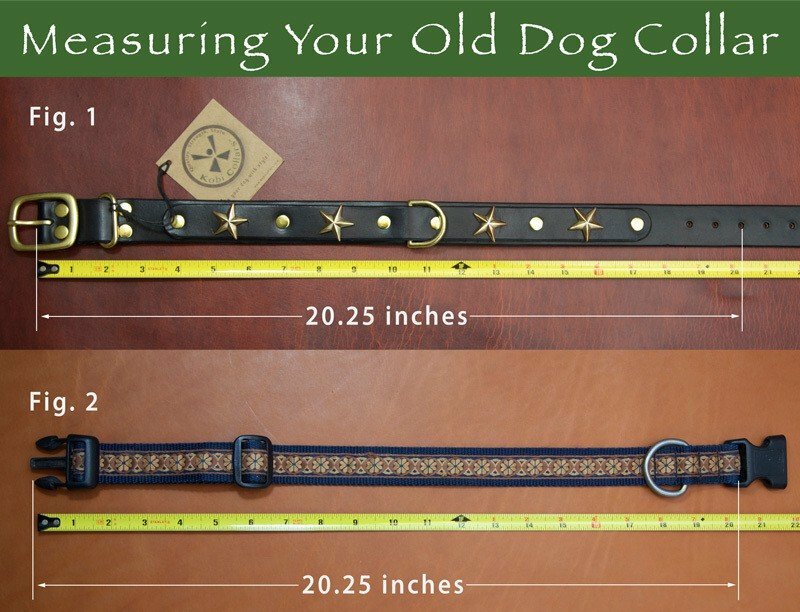 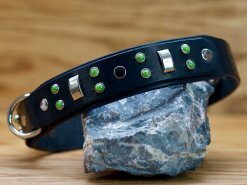 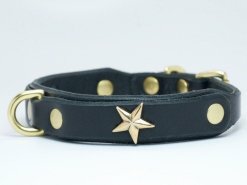 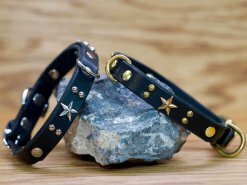 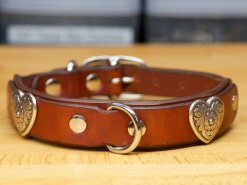 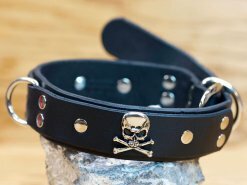 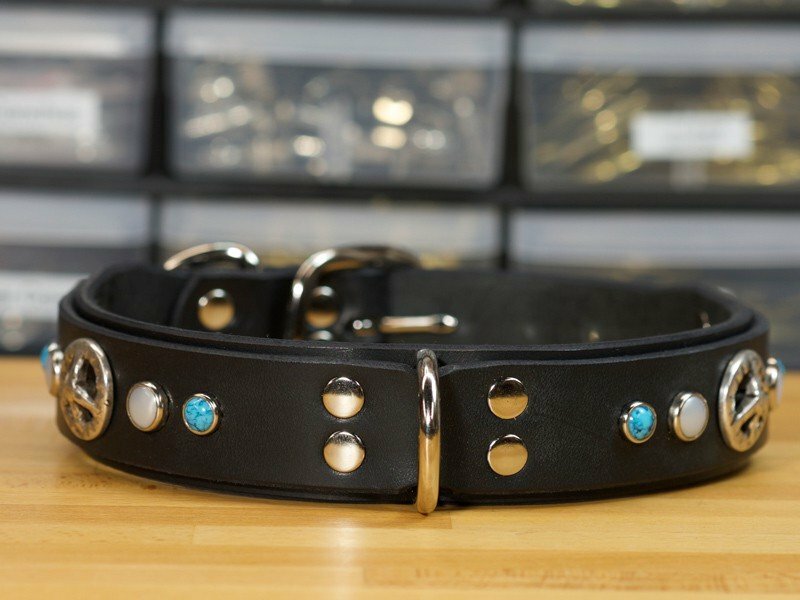 Make a statement of peace with the Diplomat leather dog collar! Peace sign conchos and colorful stones are the perfect adornment to bring out your inner hippie.